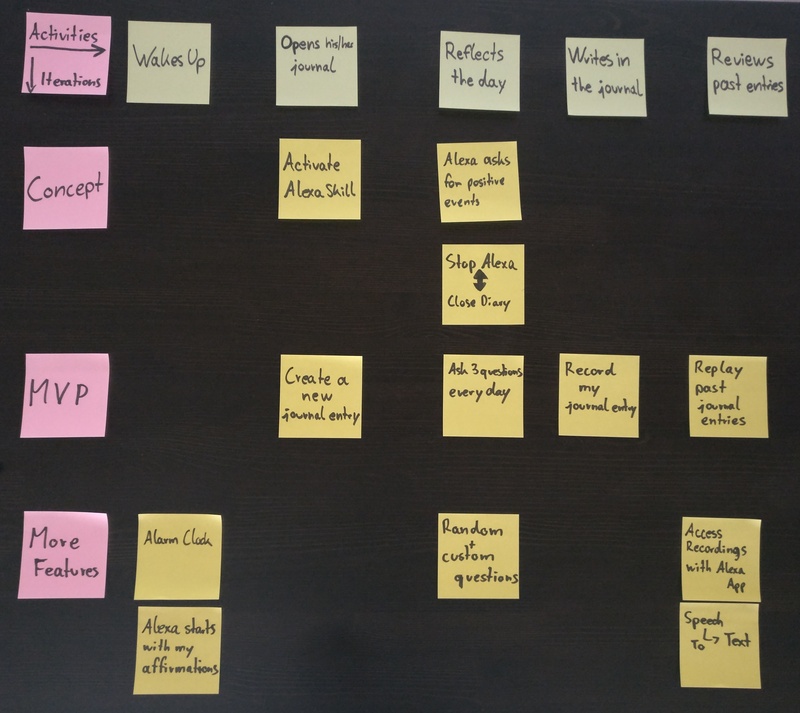 In this blog post I will show you how to do user story mapping. I'll cover the basics of user stories and guide you through the essential steps of user story mapping. Therefore, we will create an user story map example for an smartphone ToDo lists app. In the end, you will be able to easily define your the next increment for your software product. The starting point of every story map is a sequence of user actions, activities, or a process. For example, you could differentiate the overall activity of doing laundry into sorting, cleaning and drying the clothes. First, you need to define the actions your users perform. How is the user solving the problem today? Describe the actions a user is doing today. This works really well if you want to create a digital solution for something that is done manually. For example, you can use the activity of doing laundry to break it into user actions. If you want to create an Android app to show the status of the washing machine, the story map will help you to look at the overall picture. The sequence of user actions is THE backbone for your user story map and helps you to create a holistic product. I wake up at 6 am. I am reflecting the last day. I am writing into the journal. Every month I am reviewing old entries. In this step, you need to think about user stories. Create user stories for every action defined in the previous step. For some actions, you might find more user stories than for others. The simple reason for this is that you are more likely to think up user stories for the core of your product. User stories are your user needs to solve the problem end-to-end using the activities you defined. ​As a blog author, I want a fast editor to write posts quickly. Personally, I leave out the first part on sticky notes. It simply saves space. If you connect one user action to a specific type of user, you won't lose the context. Now, brainstorm about 15 - 30 user stories (features) your product should have. Identifying user stories for all actions helps you build an end-to-end solution for your user's problem. A Storymap Example: A voice app for journaling. Take your user stories and assign them to user actions. Ta-Dah! This is your first version of your user story map. For now, you can ignore the pink sticky notes on the left side of the figure above. At the same time, this is the first test for the actions you defined. As you can see above, I sorted the user actions horizontally. If something doesn't look good, e.g. there are too many or fewer stories assigned to one user action, this is the time to change it. Add, remove, split or merge actions and stories. The goal of this step is to get a better understanding about your product's story. Use the insights you gain to adopt your user story map. In the last step, you need to define reasonable product increments. The main idea is to create a minimal viable product (MVP). The idea is to define a version of your product that provides benefit to its users but requires minimal effort. ​What is the intention of your MVP? Maybe one of the following? 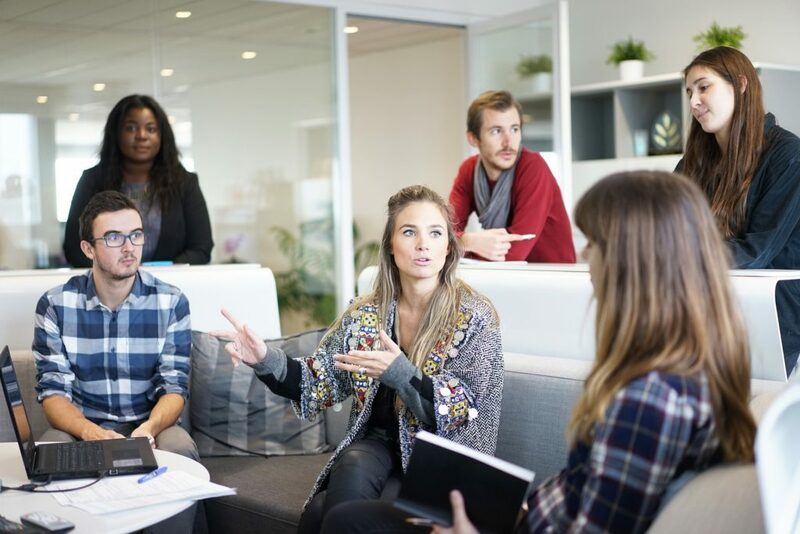 Test your idea with real customers. Prioritize features or user stories. Validate assumptions about your target customers. Estimate the complexity of user stories to focus on building a minimal product. Prioritize features according to their uncertainty or risk. Test the technical feasibility of your product. Any combination of these two or other criteria that feel right for you. Just within 30 minutes, I created this simple story map for an Alexa skill I want to build. In my blog post A Storymapping Example: Creating an Alexa Skill for Keeping Journal you can find an example user story map to get more inspiration. Learn more about user story mapping. Markus is a product owner of a distributed Scrum team where he experiences the daily struggles between user needs, software craftsmanship and actually delivering software. He wants to share what makes software development more reliable, efficient, fun and easier to deliver. Read more about his story on the About page. I am writing journal for about three month now. Reflecting about the good things on the day before, helps me to stay positive. It is really changing my attitude, so I decided to create an Alexa skill to record my thoughts instead of writing them down. Note: Actually writing us relaxing itself. If you want to stick to it I can really recommend the 5-Minute Journal. I always wanted to create a skill that is really interactive. Although, I want to learn about Amazons Web Service (AWS). Let's see how interactive this idea will become. Finally, this video by Gary Vee motivated to start. 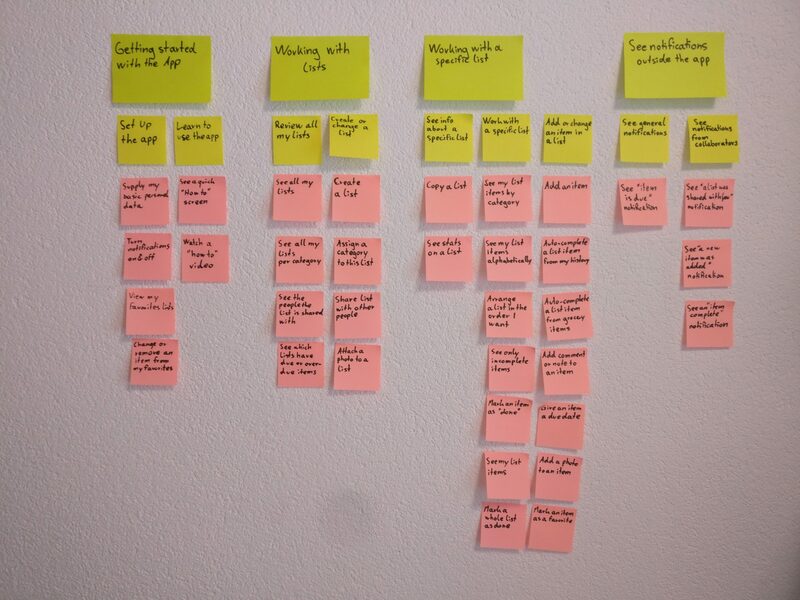 In the second step, I brainstormed some user stories and categorized them into the different user activities. Afterwards, I organized them according to their importance to define how I want to start the development. I have no experience in developing an Alexa skill yet. With the first iteration I want to keep it simple and learn about the Alexa Skill Kit. A real journal doesn't forget anything. For the first release I will enhance the skill to remember e.g. the last week of entries to replay them later. There are many more features to extend the Alexa skill. Storymapping helped me to decided which features to pick first. Later, I will be able to prioritize what I left out for now.